David Tennant narrated Twenty Twelve which was screened on BBC Four starting on Monday 14th March 2011. The first series was repeated on BBC Four at 10pm and 2am on Wednesday evenings starting 4th January 2012. Twenty Twelve was a six part comedy mock documentary series which David recorded via telephone from the US while he was filming Fright Night. It was about the people working to make the Olympics happen in London in 2012. David Tennant also provided the voiceover for the second series which aired starting Friday 30th March at 10pm. 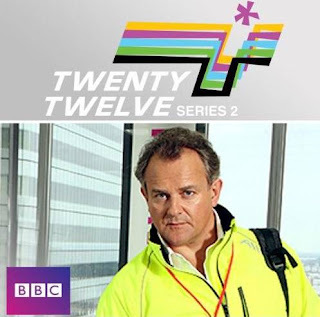 Three more episodes were filmed during May and June 2012 and were broadcast starting on Tuesday 10th July at 10pm on BBC Two. The DVD of the second series was released on Monday 6th August in the UK. The same day a special Series One and Series Two DVD set was also released. For posts related to Twenty Twelve on Blogger.com click here.